This guide to establishing an effective lead nurturing program will help you systematically think through the process of building relationships with your leads. This system will mostly be composed of a series of emails that will make up a campaign to funnel your leads through the sales cycle. An effective lead nurturing program is a marketing tool that you must be using if you want to be successful at inbound marketing. The type of strategy formed below creates credibility for your business and builds trust with your prospects. When thinking about effective lead nurturing, you should always have the goal in mind of providing some additional value to your potential clients. This process is not only helpful for your leads, but it also enables your sales team to be more efficient; they’ll spend less time qualifying leads, and more time closing the leads that have already qualified themselves through your system. Each step builds upon the next, so be sure to complete each step in order! We recommend sitting down with your sales team to go through a sort of brain storming session. Understanding where each of your offers fits into your overall buying cycle is crucial to this system. 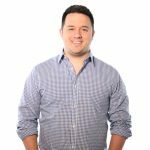 The most important step when developing your lead nurturing program is reviewing all of your current web-based offers and determining which ones fit into the top, middle and bottom of the funnel buying cycle. When performing this research, you should include your sales reps and a big pot of coffee! Be sure to carefully analyze your company’s customer data to determine which offers turn the majority of your leads into actual buying customers. Email headline: first two sentences should provide some information on what is contained in the email’s content. Email Body: Should be short (150 words or less) and needs to include one call to action related to the goal of the email. After you have had your emails edited and reviewed internally multiple times, double check that your links are included and that your message is clear to the recipient. It is very important that before you launch the campaign, you take the time to have people from various departments within your company actually go through the email first. Then, be receptive to feedback! Make any necessary changes to grammar mistakes, broken links or confusing language so that you don’t waste your time when you actually launch your real campaign. Once you’re all set, now it’s time to send to your actual email list of leads. This is the most important step in the process. Determining the campaign’s effectiveness, performance and efficiency is what helps you move forward towards an even better and more effective lead nurturing program. Start measuring as soon as statistics become available. Look at click-through rates, number of conversions on each landing page and, of course, the unsubscribe rate of each email. Edit, adjust and improve those emails that have low click-through rates or high unsubscribe rates. It breaks my heart every time I see a email campaign that does everything wrong! The idea, folks, is to nurture leads into wanting to hear more about your business. Did you know that only 2% of people coming to your website for the first time are ready to buy at that moment? For growth in business, you must always be ready and inclined to make changes to your approach! 1) Research & Understand Your Buying Cycle – Sit down with your sales team, and do some analysis to find what is already currently working, and what isn’t. Know where each item fits into your campaigns. 2) Develop Specific Campaign Goals – Know and develop exactly what you want to accomplish with each and every email of the campaign. This makes tracking, and capturing the most useful information concerning your campaigns much easier. It is always best to write a good story by first knowing how it ends. 3) Create Content for Each Email – Build email content with the goal of moving a potential reader further down the buying cycle, and to qualify the leads. As a general rule, be thorough, but concise. Keep it around 150 words, and make the subject line and opening sentences of the content count! 4) Edit/Test Your Campaigns – Have colleagues of all expertise levels read the content not only for grammar and spelling errors, but also for broken links, and the voice of the language. Constructive criticism is key to success! 4.5) Measure, Analyze and Optimize Emails – Track the performance of your content, and analyze the numbers. Don’t be afraid to make changes to anything that isn’t working. 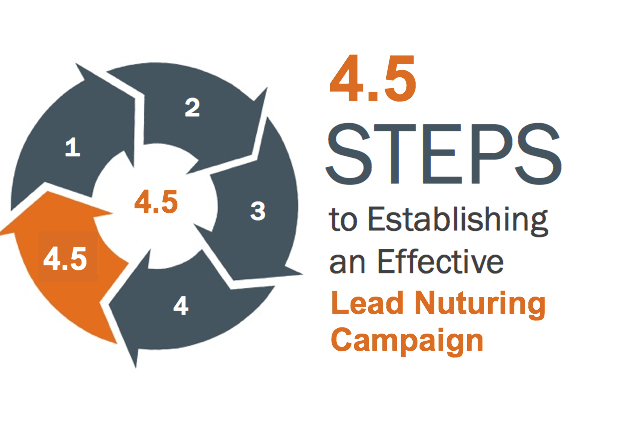 Make the decision to establish a strategy for a lead nurturing program today. For more information on inbound marketing/SEO connect with Farotech on LinkedIn or Facebook!